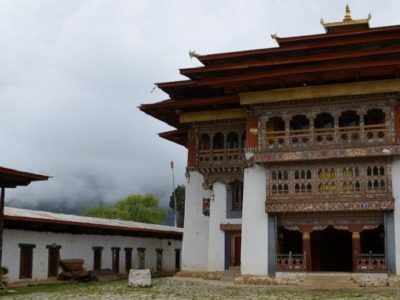 Nestled in the inner Himalayas at about 3000 meters above sea level, Phobjikha is a wide alpine wetland valley that is considered the largest and the most significant wetland in the country. It is often cited for the harmonious co-existence of its inhabitants with nature and the valley also holds great cultural significance. 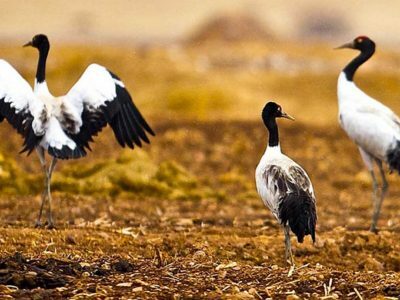 The valley is the most significant wintering ground of the rare and endangered Black-necked cranes in Bhutan and has been protected since time immemorial by the local people’s traditional respect for all living beings. Every year, over 300 of the estimated 500 cranes that migrate to Bhutan spend their winter months in this valley.